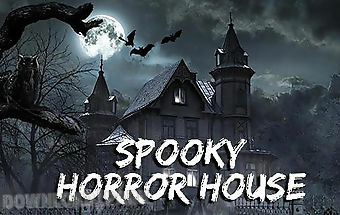 The description of Spooky door: Take 5 young heroes who appeared in a mysterious hotel full of numerous traps and dangers. 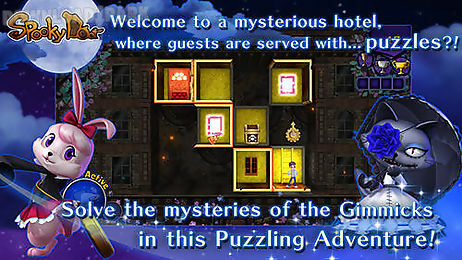 Explore a mystic hotel together with the characters of this android game. Help each character go through a chain of mysterious rooms. Solve logic puzzles to find a safe way for the character. Help the heroes escape from a trap. Gather a collection of treasures and other useful objects. 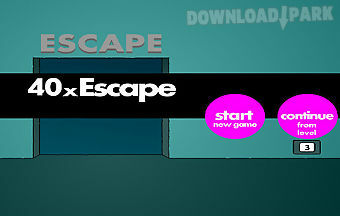 Use special editor to create your own levels to surprise your friends. 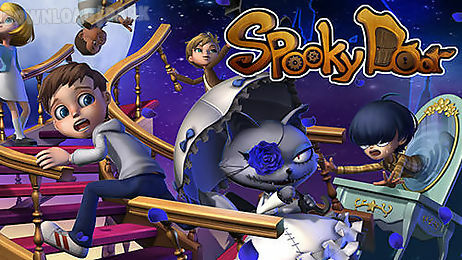 Game features:5 cute charactersover 100 exciting levelspuzzle editordifferent game modesplay with friendsthe game requires an internet connection..
Swoopy space: spooky place this .. Tap the screen in different places to direct the flight of a funny character through space. 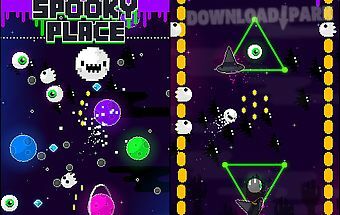 Take a round hero through space in this merry android game. Watch the route c..
Guard the door leading to the castle. Move a brave hero from one side to another and reflect the attacks of evil spirits coming from two sides. 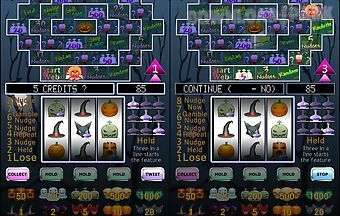 The main character of thi..
Spooky slot machine (halloween version) by toftwood creations.This is a spooky halloween slot machine simulator. 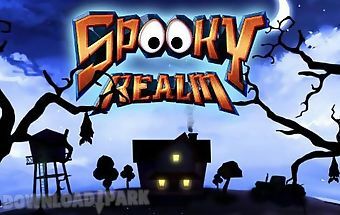 This spooky halloween slot machine is absolutely free to.. Reveal the mysteries of an abandoned house with ghosts. 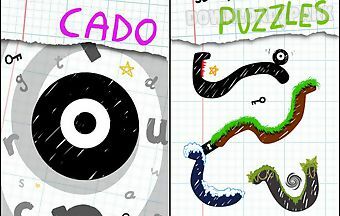 Pick up various objects and solve hard puzzles. Try yourself as a detective in this android game. Walk across dar..
Help a boy who got into a strange world full of ghosts zombies skeletons and other horrific creatures. 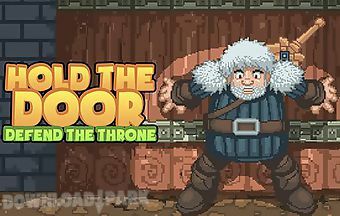 The boy the hero of this game for android was transported to the m.. Simply move the square to the x... Another time! But now there are double switches and folding doors floors. Adem s get medals to complete puzzle r pido and the less n n.. The door is locked and you have to escape... 40 times. 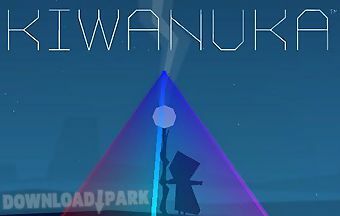 Got what it takes?This is a very interesting puzzle puzzle game. 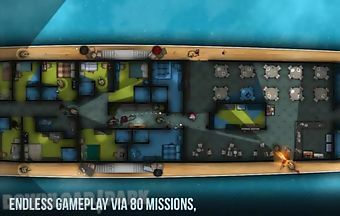 Game players are trapped in a strange room and no..
to play the game as intended a screen of at least 5.7 inches is required door kickers is the unforgiving award winning swat command quick tactics game from the pc. Incl.. 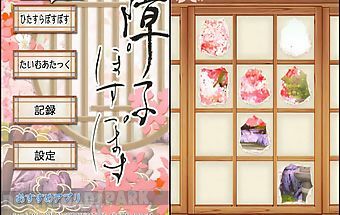 This is a game where you poke holes in japanese sliding doors (shoji) as enjoyed by children all over japan! Enjoy 2 modes of play: hitasura posu posu where you can enjo..
features open doors by using shapes. Each door has 15 stage. Doors stages will be updated continuously. How to play drag shapes and find the code to open the door. Find..
Save cute crystal kingdom citizens. Guide them through different levels full of mountains steep hills and precipices. Use your magical staff to overcome obstacles. Citiz..
Gu the cute character through levels filled with traps and sharp peaks. Treat of get to the portal to the next level. 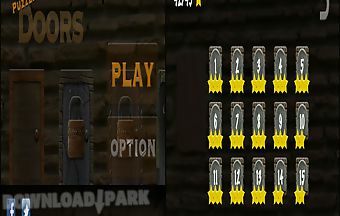 Characteristics: original game graphicssimple contr..